As we move further into this year, March brings us a major month of release, reflection, revisions, and yes, retrogrades. The Sun continues swimming through the sign of spiritually sensitive ♓ Pisces for most of this month as we prepare for the astrological New Year which begins as the Sun makes its way back into the first sign of the zodiac, action-oriented ♈ Aries, on March 20th. However, before we can start anew, we must continue to process and reflect on all that we’ve been learning. Bookended by two Full Moons – one in practical Virgo on the 1st which shows us what we need to cut out of our lives to fine tune our daily routines, and one in lovely Libra on the 31st which shows us how we can add a greater feeling of beauty and harmony back in – there are many chances this month for release and renewal. Our New Moon in Pisces on March 17th will also give us the opportunity to set a bold intention on how we would like to carry the lessons of this emotional, ethereal, and dreamy time forward with us into the rest of the year. Meanwhile, now that we are getting further into the year, there will be more news of retrogrades incoming. Although there are no planets in retrograde at the start of the month, which allows us to move forward and make progress out in the world more smoothly, both Jupiter & Mercury will begin their retrograde cycles in March. On March 8th, Jupiter, the planet of growth and expansion, begins a long 4-month retrograde in Scorpio which brings us to a point of needing to revise the way we are choosing to transform to the next level whether in life or career. Our first Mercury Retrograde of 2018 also kicks off in Aries on March 22nd and takes us into mid-April, forcing us to reflect on what we’re really most passionate about and what it is truly going to take to keep our creative fires fueled up into the future. ? Why do you do what you do, Aries? On the heels of a Full Moon in Virgo and your zone of Daily Work & Wellness, the need to get back on track with a more solid daily routine may have become starkly apparent. As the Sun moves through Pisces and your Spirituality sector for most of this month, you still have a chance to get back in tune with the greater vision of your life and the reason why the things you do each day matter to you at all. For example, you aren’t meant to just take care of your body because it’s supposedly the “right” thing for you, but because it can help fuel you put more focused energy into your creativity and the wonderful work you’re really here to do! Your biggest area of growth for this year will be happening in your zone of Business & Finance, but once Jupiter goes into its 4-month retrograde on March 8th, you may need to revise the strategies that will help get you there. But wait, where is “there” anyway? What would it look like to have your money situation right where you want it to be and what will be the most exciting way to work towards your monetary dreams? Mercury Retrograde is just around the bend and this time it will be falling in your sign. For some Aries, the time between March 22 – April 15 may spark a mini identity crisis. There are so many possible ways you could be living your life on your own terms, but try not to make any impulsive changes until you’ve had enough time consider the benefits of staying right where you are first. As the Sun moves through your sign beginning on March 20, you may feel like you’re ready to burst on to the scene as a new you, but be aware that – due to the retrograde – not all may be quite as it seems. Staying open and adaptable will be the best way to be. As the month kicks off, a creative project may have finally come to fruition with the Full Moon in Virgo. Now, as the Sun continues moving through Pisces and your Community sector, it’s a beautiful time to spread the love and point your passions back at others whether this means reconnecting with old friends or finding wonderful ways to fulfill the desires of your dream clients or customers with more ease. Paying attention to what others around you are craving will give you the opportunity to step in and become the one to give them what they truly need. How can you show your people that you’ve got their back with no strings attached? Your biggest area of growth for this year is happening in your Relationship quarters. However, once Jupiter heads into retrograde on March 8th, you may need to reconsider what the perfect romantic or business partnership really looks like to you and how you can position yourself to make this more likely to happen. You may even want to ask yourself which areas of your life could do with a little more support from others in general – perhaps even hiring a healer or delegating some of your duties by opening yourself up to outside help. Meanwhile, Mercury Retrograde will be coming in strong to your 12th house of Spirituality beginning on the 22nd. You may be questioning what the point of everything you’re doing is and what the right steps are going to be to take you there, but it’s really not advised to make any sudden changes if you can help it. Take some time to rest and let your ideas percolate and try to be open to the higher level concept that everything really is connected even if it can’t easily be seen or noticed at first. What is the greater impact you seek to make in this world? 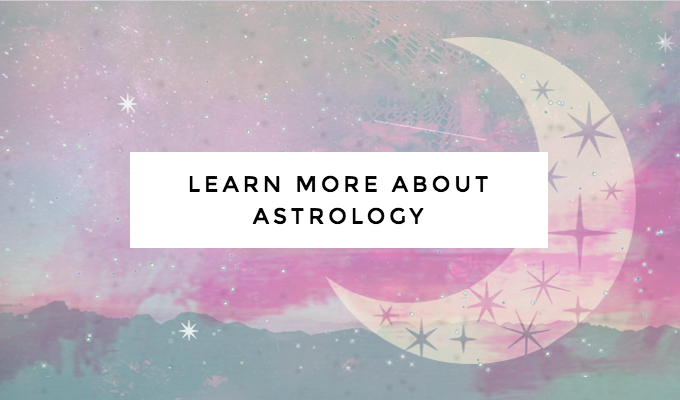 Falling in your 4th house of Home, Family & Long-term Security, the Full Moon in Virgo may have made you much more aware of where you would ideally like to see yourself in the future. Now, the Sun continues moving through your Career Zone, making this a major month of making moves that will allow you to earn the success you need to take you there. By focusing your natural talents in a direction you truly believe in, you may find that making money can actually be easier and so much more fun. Overall, this is a big year for you to bring more balance to your life, work, and sense of wellbeing. Once Jupiter heads into retrograde on the 8th, however, you may need to rethink what your idea of “balance” really means. Is it about working fewer hours by having better systems? Or more time spent on prepping healthy meals instead of ordering take-out? The next 4 months will be a good time to consider what you could be doing to support and care for yourself on a greater level, so don’t be afraid to experiment with some different ideas to keep yourself from getting drained. Your ruler Mercury will also be going retrograde in your 11th house of Community on the 22nd. This may bring a time of reconnecting with old friends or perhaps realizing that the friends you thought were your friends could be a whole lot friendlier. Wires can easily get crossed during this time and communications may not be taken in the way they were intended, so do be careful of what you say and be sure to double check the details in any type of arrangement that requires working with others. In the wake of a Full Moon in Virgo in your 3rd house of Social Networking, a desire to make the most of your local community and seek out more like-minded individuals to talk, share, and collaborate with may have bubbled up to the surface. However, the Sun is currently streaming through your zone of Travel, Education & Exploration, giving you a permission slip to pursue your passions beyond the normal boundaries of your everyday life. A book, a course, a trip, or even a teaching engagement could be just what you need to kickstart your curiosity so you can expand the horizons of what is possible for you – and your career – this month! Overall, 2018 is a very creative year for you, with your biggest area of growth being your supercharged Fun & Creativity sector. 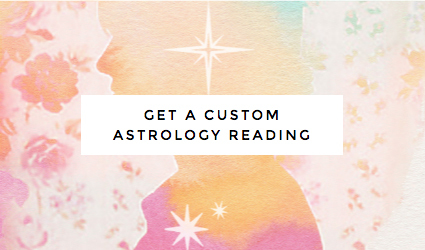 Once Jupiter heads into retrograde in this area on the 8th, however, you may need to rethink which of your creative ideas or concepts are really going to be taking you in the best possible direction in the future. Instead of continuing to seek out new inspiration, be open to taking time to experiment and explore the many possibilities of what you’ve already got going on. You may have a lot of thinking to do later in the month as Mercury moves into retrograde through your Career Zone beginning on the 22nd. Is there something you could be doing to enjoy your career more or that would allow you to make a bigger or more meaningful impact? These questions may be running through your head quite a bit, but try not to make any major moves too fast. Until April 15th, it will be a much better time for simply reflecting rather than revving ahead with a whole new plan. This month is all about business for you, Leo! Hopefully, the Full Moon in Virgo helped you realize what you really want out of life, but now it’s time to work for it. 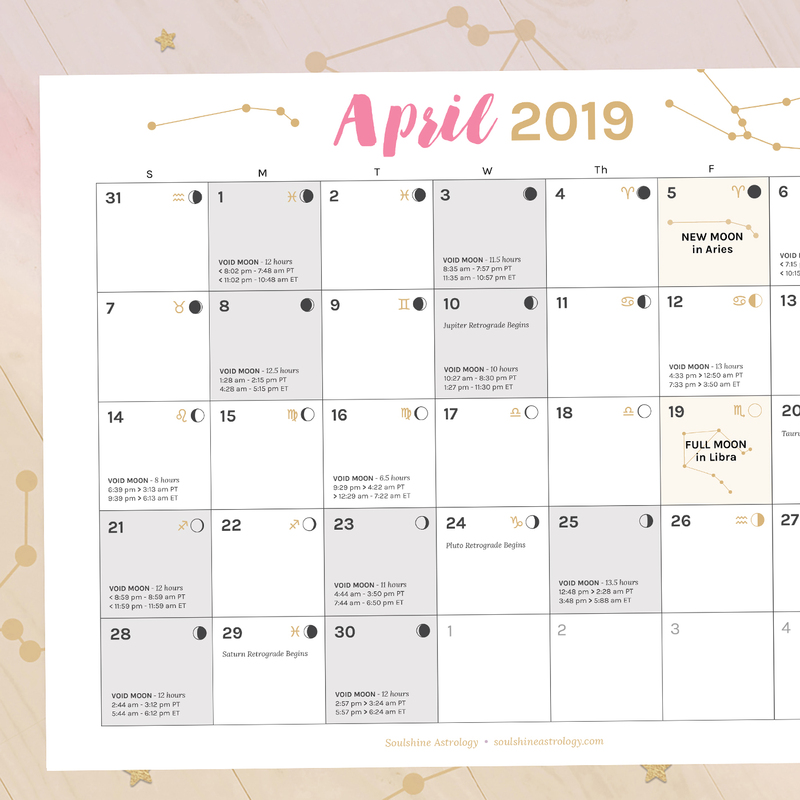 For most of this month, the Sun is meandering through your 8th house of Business & Finance, bringing a time for you to get ultra clear about your financial strategies so you can boost up your bottom line and actually get where you want to be. Keep in mind that this is not about conjuring up a short-term windfall but creating a sense of long-term security that will carry you forward in a way that will make your money work smarter for you. This is going to be a big year for you to bring more comfort into being through your Home, Family and Long-term Planning sector, which is currently being supercharged by Jupiter until November. However, once Jupiter heads into retrograde on March 8th, you may need to go back to the drawing board and ask yourself if you’re really approaching things in the right way. During this time, you may find that you are not able to make progress with your personal goals quite as quickly, so it will be good for you to experiment and be open to making the most of where you’re already at. The other retrograde – Mercury Retrograde – will be moving backward through your zone of Travel, Education & Exploration beginning on March 22nd. This is not such a great time to plan a trip, buy a big course, or even teach a class. If you do feel called to do these things, then don’t fret, but definitely do be open to the idea that there will be something important to be learned from your experience because not all of the necessary details that are needed to contribute to your success will be sitting out for you in plain view. After a momentous Full Moon in your sign on the 1st, you may have had to deal with difficult feelings about who you really are as you came to release who you are no longer. Now it’s time to train your focus on what really matters, but please do not feel like you need to do anything all on your own. As the Sun moves through your 7th house of Partnerships, it’s one of the most important months for you to become more willing to ask for help whether that means hiring someone for work or health or even becoming bolder in asking for what you want from your love life. 2018 is definitely going to go down in the record books as being the most exciting year for networking and meeting inspiring new people who are more like-minded. However, once Jupiter Retrograde kicks off on the 8th, you may find that collaborations become a bit more confusing and there might not be quite as much forward moving action on your side as you’d like. In any case, it may be best to look back over your current roster of connections rather than seeking out a whole new crowd. Later in March, Mercury Retrograde will begin blurring the lines in your Business Zone. Money might start to get a bit funny, so March 22 – April 15 will not be such a good time for investing or making big-ticket purchases. Try to get your taxes done ahead of time and take time to get clear on which of your actions have been the most prosperous in the past rather than focusing all of your attention on charting a brand new course with a new passion project – at least until this retrograde comes to an end. Look alive, Libra! After what may have been a very eye-opening start to the month due to a Full Moon falling in your Spirituality sector, it may have become very clear to you what really matters most in life. If your daily lifestyle isn’t reflecting the higher purpose you feel called to embrace, well, then this is the month to make some adjustments. As the Sun moves through your zone of Daily Work and Wellness for most of March, it will be shining a light on a better way of organizing the tasks you take upon yourself to do each day to make sure they are truly moving you in the direction of living your best and most meaningful life. Last year may have been quite the year for you to step up as the leader of your life, but this year’s big supercharged area of growth is in deciding what you really want and making it happen thanks to Jupiter’s jubilant rays shining down on your 2nd house of Love, Money, Values & Self-worth. However, Jupiter is going into retrograde for 4 months on March 8th, so you may be asked to reflect on your wish list and make sure that what you are really wanting is really what will be the most rewarding in the long run. The other question that may be on your mind later this month will be regarding your closest relationships. Mercury Retrograde kicks off for 3.5 weeks on the 22nd in your Partnership Zone, and during this time, you may be questioning what is really going on between you and another person. It is not the best time for impulsive decisions, but do try to stay open to the messages that are trying to come through and listen to what your heart has to say without letting it completely override your logic. The month of March kicks off with the culmination of a community project with the Full Moon falling in Virgo on the 1st. Giving back to others is always a wonderful thing, but with the Sun moving through your 5th house of Creativity for most of this month, it’s time to focus on the things you are here to create for your own fun and enjoyment. Get back in touch with your creative spark and use your original ideas to fuel you in making some magic for yourself! Doing “you” can also be very inspiring to others, too. This is your big year to step out on the scene and embrace your leadership capabilities whether in your life or career thanks to Jupiter moving through your sign for most of 2018. However, what happens when Jupiter goes into retrograde? Well, let’s just say you may be questioning the best way to put your best foot forward beginning March 8th and lasting for the next 4 months. It may not be an easy time for blasting full speed ahead with your plans, but the gems that you can uncover from reflecting, ruminating, and experimenting with ideas will still be worth their weight in gold. That’s not all… Mercury will also be heading into retrograde for the first time this year starting later in the month. The systems and strategies you use to set up, streamline, and prioritize your daily life & workflow may begin to get a bit wobbly as Mercury throws a curveball in the direction of your zone of Daily Work & Wellness. It’s probably not going to be a good time to get set up with a whole new project management system, but it can be very helpful for paying attention to potential changes you could be making in the future. What are you setting your sights on next, Sagittarius? After the month starts off with Full Moon in your Career Zone, you may have gotten a sudden realization about where you would like to focus your career efforts next. However, the Sun is still moving through Pisces and your 4th house of Home, Family & Long-term Security for most of this month, so your focus may still be turned towards personal matters for much of March. What do comfort and security truly look like to you and what steps can you take this month to make your favorite future vision appear even more clear? This is a magnificent year for tapping into your most magical self as Jupiter moves through your 12th house of Spirituality until November, but when Jupiter starts to turn around and move backward on the 8th, you may have a harder time getting back in touch with your best plan of action when it comes to pursuing your greatest possible passions. Over the next 4 months, time spent in deep reflection or combing through old memories of what you have been through to get you where you are today can help you get back in tune with the bigger picture. As we get towards the end of March, Mercury will begin its seasonal retrograde in your Fun & Creativity sector. Instead of charging full speed ahead on a creative project you’ve been dying to put forth, try taking your time to consider the consequences of your creations. Not all of the important details you need to make a good decision may be present until after mid-April, so it will be best to continue to research, experiment, and test for now. It’s time to embrace your curiosities, Capricorn! The Full Moon in Virgo on the 1st fell in your zone of Travel, Education & Exploration, triggering a sense of wanderlust that may have opened your eyes to more of the possibilities that exist beyond your normal borders. However, for most of this month, the Sun is streaming through your Social Networking sector. March will be great for reaching out to like-minded souls to collaborate and gain valuable advice on how best to embark on your current plans. Someone you meet this month may hold the key that can finally help you unlock your dreams! Overall, this is a good year for gaining a greater group of friends and expanding your community outreach efforts thanks to Jupiter jetting through your 11th house of Friendship & Community, but once this planet of prosperity stops in the sky and begins moving backwards on the 8th, you may not feel like as much progress is being made. For the next 4 months, you might just need to slow down and check back with previous connections before busying yourself with new projects or faces for a while. Another chance to reflect, revise, and rejuvenate will come with Mercury Retrograde’s backward movement through your zone of Home, Family & Long-term Security on the 22nd. If you have been thinking of moving, redecorating, or investing in your future plans, you will find it’s probably best to wait. It’s entirely possible that business contracts, renovation choices, or rental agreements may not withstand a later change of heart down the line. It’s time to get back in touch with your inner desires! A Full Moon in Virgo on the 1st brings an opportunity to receive benefits for business moves that first began near the end of last September. Perhaps you have also come to realize how much further you wish you could go with your finances, but luckily the Sun’s rays will be shining on your 2nd house of Love, Money, Values & Self-worth to help you get clear on your true end goal as we move through the first 3 weeks of March. Overall, it’s a wonderful month to make a wish list of what you really want out of life so you can actually make a solid plan that will make you believe you can get it. This is a really big year for your career with Jupiter moving through your 10th house of Career & Higher Calling until November, but Jupiter’s 4-month retrograde may be making you slow your roll beginning on March 8th. There’s no question that you are meant to make a major impact on the world (even just in your own small but special way), but you may not be completely sure about how to drive these efforts forward until Jupiter returns direct in July. Try to take your time to experiment and play with the possibilities to discover what will eventually end up bringing you the most joy. Meanwhile, another retrograde is stepping on the scene later in the month, and this time it’s the infamous Mercury. You know the drill – reflect, revise, and sloooow down when it comes to your social contacts. It’s best to be cautious from March 22 – April 15 as Mercury confuses your communications and may even bring sticky situations to the surface surrounding your Social Networking sector. An exciting collaboration may sound great, but suddenly turn out too good to be true. This month it’s all about you, Pisces! On top of there being 3 planets and a major asteroid moving through your sign, it is also high time for Pisces Season thanks to the Sun swimming through your dreamy waters until March 20. A Full Moon in your opposite sign of Virgo on the 1st may have thrown you for a bit of a loop when it comes to how you relate to others around you, but once that has passed it’s back to focusing on your own unique passions and awakening to your inner power. You are beginning a new cycle of your own personal revolution this month so don’t be afraid to step up as a leader and use March to claim your spot as the CEO of your own life. Overall, 2018 is an amazing year for chasing your curiosities and exploring new horizons thanks to Jupiter’s jaunt through your zone of Travel, Education & Self-Discovery until November, but when this planet of prosperity begins backtracking on March 8th as part of its annual retrograde period, you may need to settle in and work with what you’ve already got happening rather than continually seeking out new seas. On the bright side, this will help you avoid biting off more than you can chew and will allow you to dive deep and revisit previous passion projects more productively. As we lead up to the end of this month, Mercury begins its seasonal retrograde in your 2nd house of Love, Money, Values & Self-worth. You may think you know what you want out of life, but the time between March 22 and April 15 may put this notion to the test. Take your time when considering any major decisions around love or money and be sure to think twice (or even thrice) before re-prioritizing your whole life!